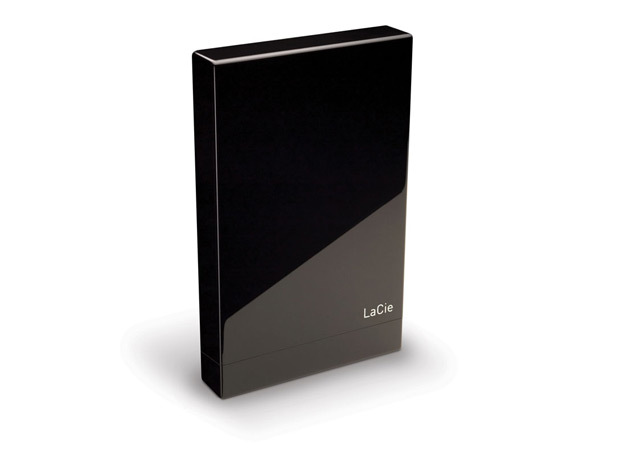 The design of the drive is distinctive, and builds upon the brick design that LaCie used to their advantage in the past. The enclosure is made of glossy black plastic, and it comes with a removable top/lid, which masks a short, retractable USB cable. I’m not crazy about that top, since it doesn’t sit tightly on the enclosure, but at least it can be removed easily. 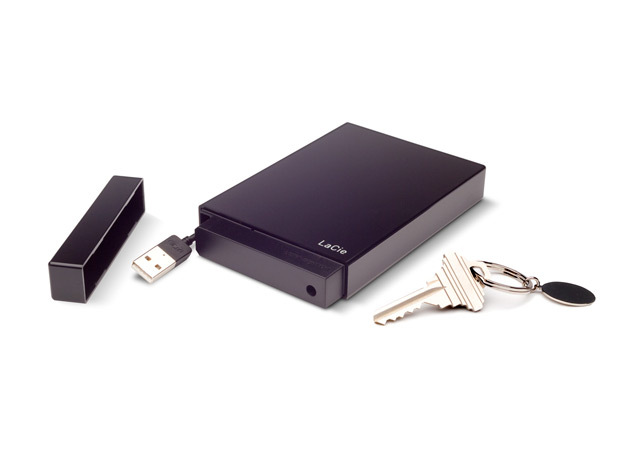 In terms of weight, the drive is as light as other portable drives — perhaps even lighter. In terms of size, it is a little longer and thicker than my 160GB WD Passport drive, whose design, although almost three years old by now, is still one of the best I’ve ever seen. 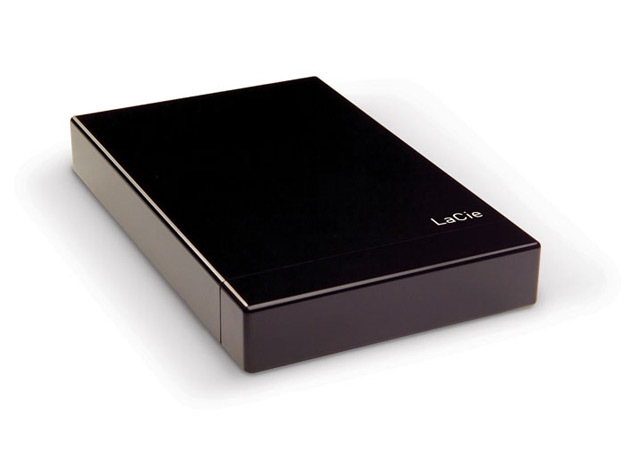 I like my little LaCie drive though. It’s fast and roomy enough for me to back up my MBP’s 250GB hard drive as often as I need. Time Machine backups complete in minutes, and then I can simply eject the drive and put it away until I want to do another backup. I am even using the carrying pouch for now, to protect the drive as it sits in my backpack during travel. Photos used courtesy of LaCie.